Players fought for glory (and cash) in war-torn Africa in Ubisoft’s Far Cry 2. 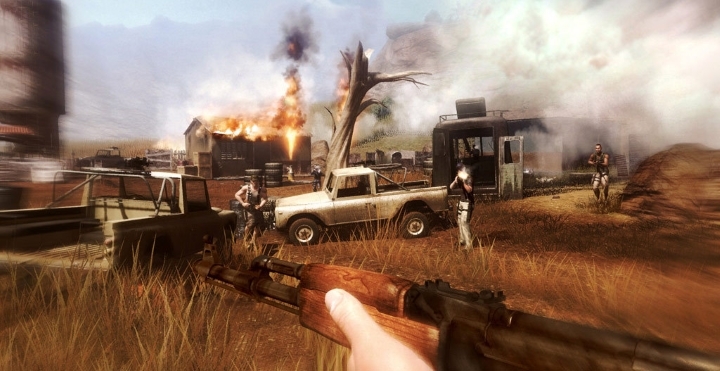 With Far Cry 2, Ubisoft took the Far Cry series in a new direction, ditching protagonist Jack Carver and the tropical setting of the previous games and moving the game’s setting to Africa. So the game featured the sunny African savannah, and put players in the middle of a military conflict between rival factions, with the goal of hunting down a notorious arms dealer known as the Jackal. The characters and story were not that great however, and the NPCs buddies you could work with to complete the game’s open-world quests were not colourful personalities to say the least. It was also hard to feel attached to either of the game’s two factions (known by their generic acronyms APR and UFLL). But still, the action was intense and entertaining, and those African landscapes sure looked pretty. The game had great fire effects, and storming enemy camps and causing mayhem with the flamethrower was an enjoyable diversion that never got old.